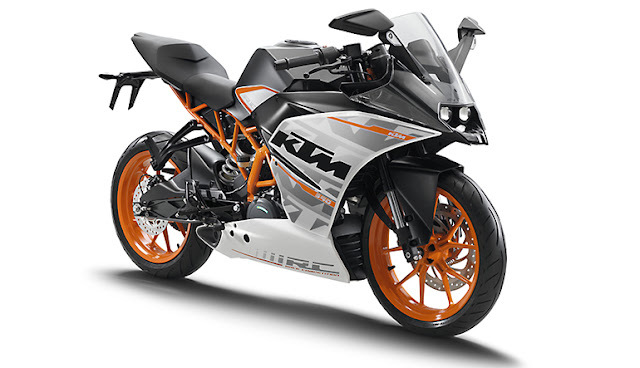 As was in the news, KTM has officially launched two new motorcycles in Indonesia, the Duke 250 and RC 250 at 69.5 million Indonesian Rupiah (~3.29 lakhs INR) and 74.5 million Indonesian Rupiah (~3.53 lakhs INR), both prices OTR Jakarta. The company also has a special promotional offer in which the bikes can be bought during the IIAS at a cheaper price. The new KTM 250s feature a single cylinder 248.8 cc liquid cooled mill which produces 31.3 PS of maximum power at 9,000 rpm and 24 Nm of torque peaking at 7,250 rpm. The company claims that the short stroke engine brings instantaneous power delivery throughout the rev range. Add to that the light weight body (139 kilos for Duke 250 and 147 kilos for RC250, both dry) which will lend it an impressive power to weight ratio and hence, a quicker acceleration time. The new 250s also gets an anti-hopping wet slipper clutch for smooth gearshifts. Along with that they get a radial four cylinder calliper by Bybre on the front disc and a 230 mm rear disc with floating calliper. Braking is further assisted by the safety net of ABS by Bosch. Track enthusiasts can also disengage the ABS to have some serious fun, like in the case of 390s. The 17 inch signature orange coloured wheels get a 110 mm Pirelli Diabolo Rosso 2 tyre upfront and 150 mm rear tyre by the same brand. 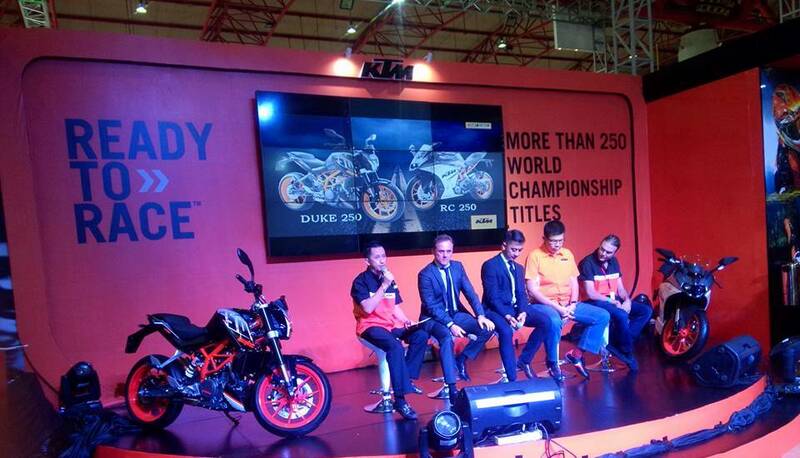 In terms of looks though they look pretty much similar to their bigger cousin, the Duke 390 and RC 390. In fact the similarity does not end there. The quarter litre engine is a re-sleeved version of the 375 cc mill and hence, pure unadulterated ‘fun’ can be expected! 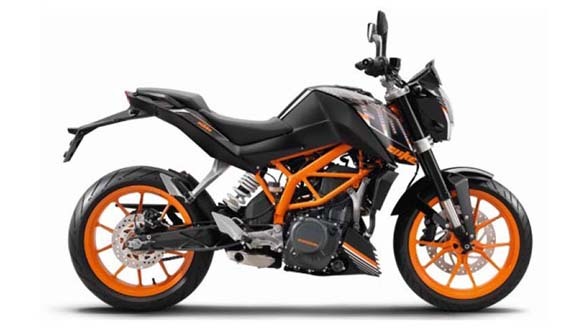 Although there is no confirmation yet whether KTM will be launching these bikes in India or not but if they do, many upcoming and existing 250s may die a premature death!